Rhymes are rhythmic poems taught to young children about 3-7 years of age. They are the medium of teaching them vocabulary, elementary mathematics, English alphabets, months name, days of the week or several other behavioural ettiquettes. Poems with child friendly music and actions make them learn things very fast and that too in a very interesting way. 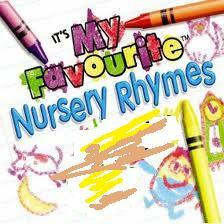 As these poems are mostly introduced in nursery , that is why they are known as Nursery Rhymes. As far as wordly meaning of `Nursery` and `Rhymes` are concerned; nursery is a place where children learn before school days usually between the age of 2-5. They learn here by listening to stories, recognising colours fruits, vegetables through various toys and learn behavioural things through observation and most importantly through Rhymes because rhymes are repetition of similar words in two or three sentences. Accompanied with music and actions and taught them in groups of children make them learn things in a very positive and easier way. History of Rhymes is quite old. Most of them have written around 16th or 17th century in Europe or America and are associated with some event or happening in past. The things which people couldn`t say openly, have told through rhymes. Every rhymes has some hidden message. But today, they have no relevance because with the passage of time the actual meaning of a rhyme has lost. They simply have become the medium of learning. And here are a whole lot more of my most recent poems, along with a few older favorites. These poems are also ranked by popularity (with the most popular ones at the top), so don`t be surprised if they change position when you rate them. All except one, and that`s little Ann. And she has crept under the warming pan.